“People who look for symbolic meanings [in my work] fail to grasp the inherent poetry and mystery of the image.” For the Belgian painter René Magritte, painting harbours the mystery of the poetry of the incongruous. Despite being one of the greatest exponents of international Surrealism, this atypical Belgian Surrealist deliberately eschewed the world of the unconscious. His painting shows no trace whatsoever of Romanticism and is constructed with a methodical, almost calculating precision. Through the visual enigmas of his paintings, Magritte succeeded in creating a highly original body of work in which images that in themselves are visually understandable, painted in a naturalistic technique, conveyed obscure and complex meanings by revealing to us the more mysterious side of the everyday world. La Clef des champs (The Key of the Field) was painted in 1936. By then Magritte was internationally known, as Alfred Barr had included his work in the legendary exhibition of Fantastic Art, Dada, Surrealism, as an exponent of photographic Surrealism, together with Dalí and Tanguy. 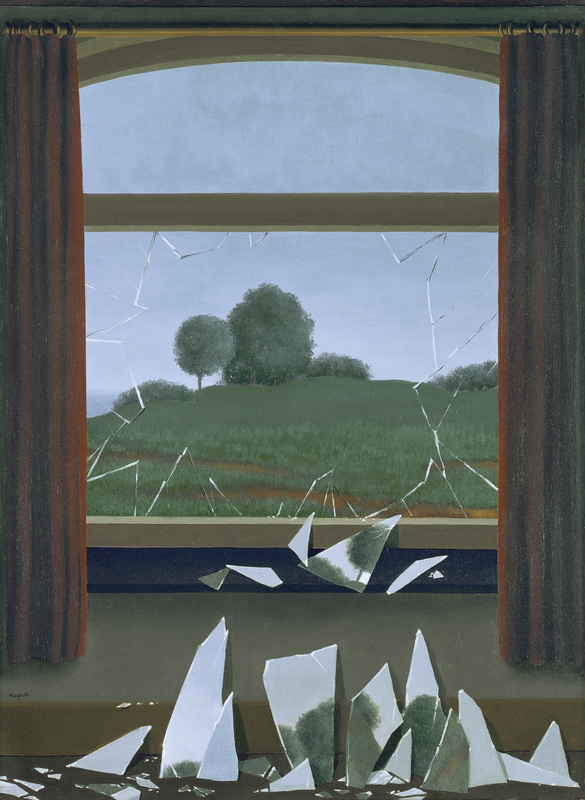 Magritte depicts a landscape framed by a window that has been broken by an impact and the shards of glass lying on the ground are painted from fragments of a landscape identical to the one outside. 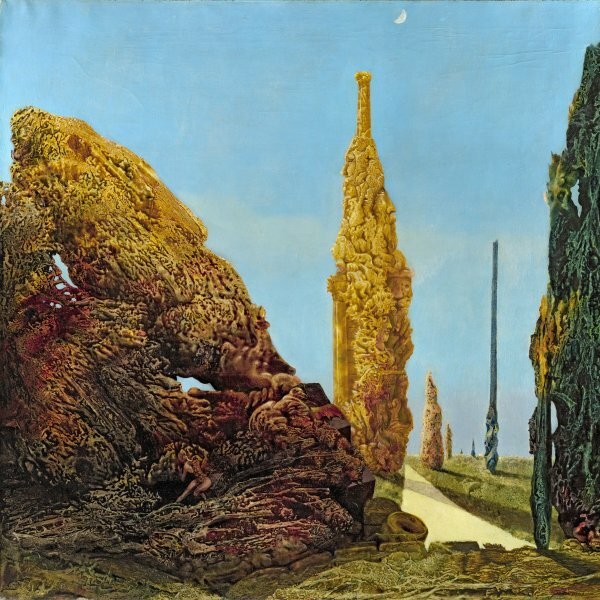 Through the traditional theme of the picture within a picture, in the manner of a painted collage, Magritte explores the world of absurd associations as Max Ernst had done before him and appears to wish to reveal to us that what we saw through the window was not a real landscape but an image painted on the glass, albeit identical to that of the scenery outside. The landscape painted on the broken glass therefore shows that illusion and reality are one of the same thing. The painting was executed during the period in which Magritte, under the influence of Lewis Carroll, abandoned his earlier enigmatic Surrealist formulas in favour of the meaningless laws governing Alice’s world. Magritte basically poses the problem of the window not only as an allusion to the Renaissance concept of perspective in painting, but the window as an example of the problem of representing the exterior and the interior: “The essential thing was to eliminate the difference between what can be seen from outside the window and what can be seen from inside, ” Magritte wrote to Breton in 1934. Christopher Green believes that this painting also includes the Surrealist theme of the mirror and that the broken window is inviting the viewer to step inside. Bearing in mind that Breton regarded both the window and the mirror as images of liberation, and that in French la clef des champs has the colloquial meaning of liberation, the window thus becomes the path of freedom.